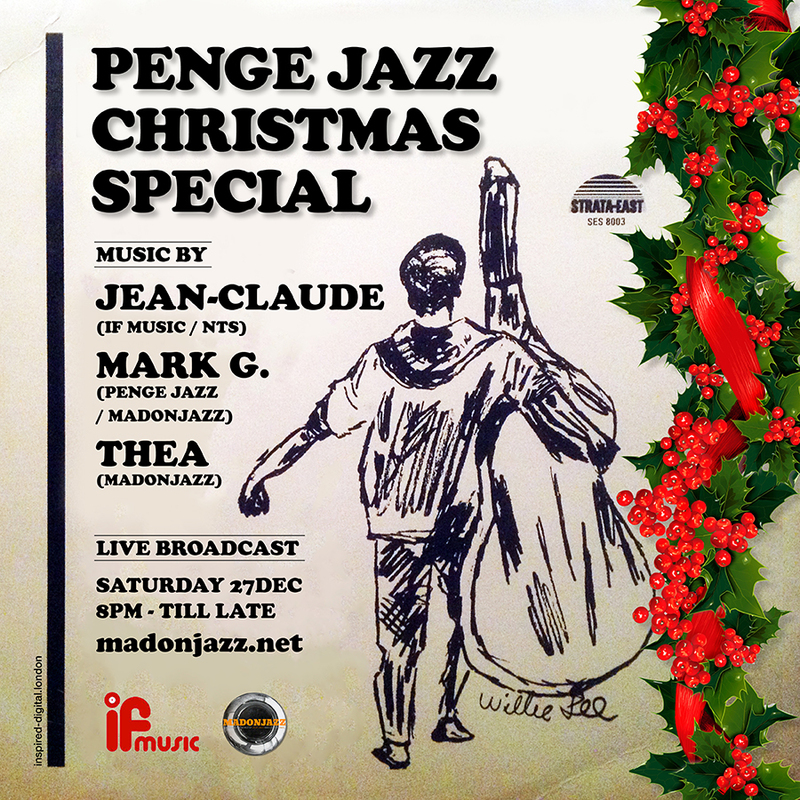 Penge Jazz Sessions were back for a Christmas special with the finest ‪deep jazz across all jazz sub-genres. Session 1 is a set by Jean-Claude ( If Music / NTS) showcasing his vast knowledge of jazz rarities. Jean-Claude is the owner of If Music, a boutique record store in London with an outstanding collection of rare, fine vinyl. Absolutely wicked! What a long day’s music journey into the night it’s been! Penge Jazz party – May Bank Holiday ’14 live recordings, with a brilliant line-up of DJ’s and vinyl selectors, including Patrick Forge (DaLata, Dingwalls, Mi-Soul, NTS), Jean-Claude (If Music, NTS), Andrew Ashong (Sound Signature), Suresh, and our own Mark G. (King of Penge) and Thea. 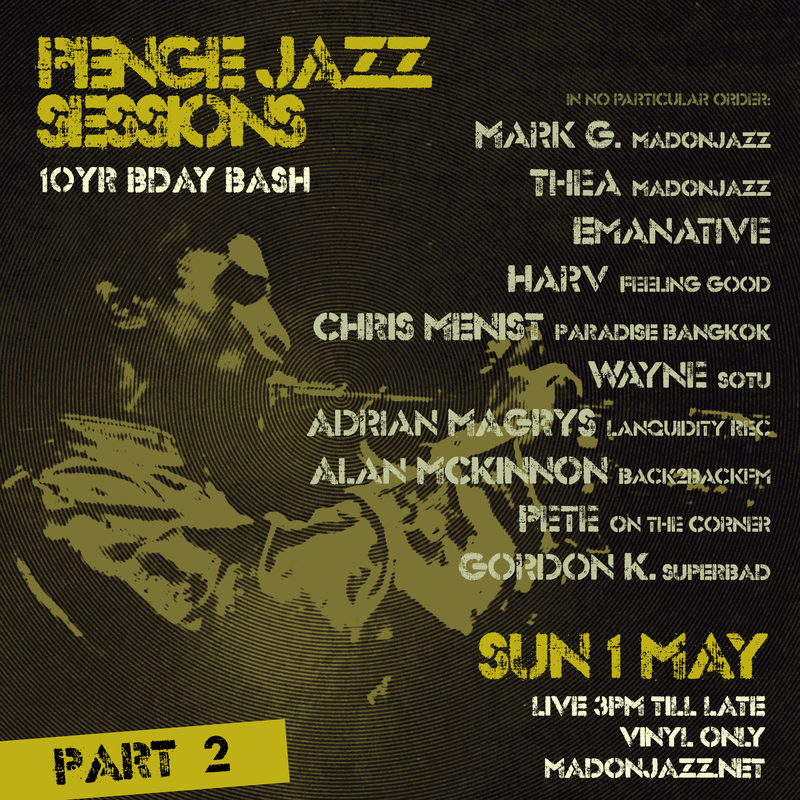 12 hours of rare, vinyl-only deep jazz in deep South London – bliss! We published it in 3 parts for your listening pleasure: Part 3 features Jean-Claude, Andrew Ashong, Mark G. (King of Penge) and Thea. Jean-Claude is the owner of If Music, a boutique record store in downtown London, with an amazing collection of rare, fine vinyl. Multi-talented Andrew Ashong (Sound Signature) has been causing waves, not only as a musician but also as a DJ – catch him on one of his live sets, or his new album, released soon. Mark G. (King of Penge) is named after the Penge Jazz parties, that have been running for over 7 years now. Mark’s been an avid vinyl collector for many years, mainly of deep jazz. 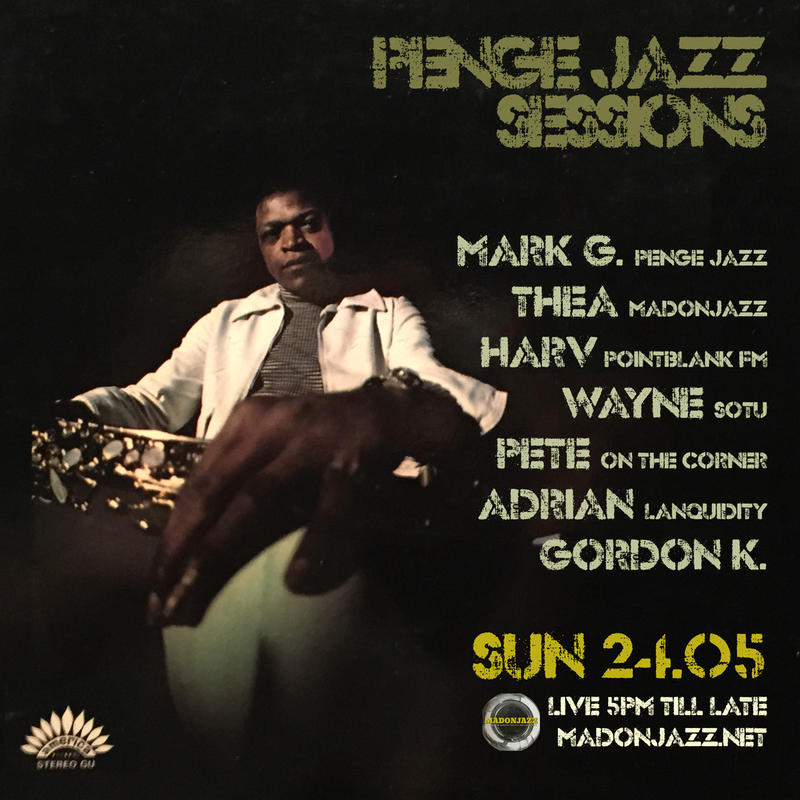 Thea has been collecting deep jazz vinyl for many years, and together with Mark G. they form the MADONJAZZ crew – catch them live every other Sunday on madonjazz.com.